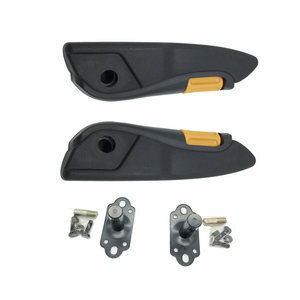 3 YRS Guangzhou Roadstar Car Accessories Co., Ltd.
2 YRS Chongqing Sunner Import And Export Co., Ltd.
Q2. What is your terms of delivery9 A: EXW,FOB or CIF according to the different conditon. Q4. What is your terms of payment9 A: As for the big amount,T/T 50% as deposit, and 50% before delivery. Q5. Can you produce according to the samples9 A: Yes, we can produce by your samples or technical drawings. 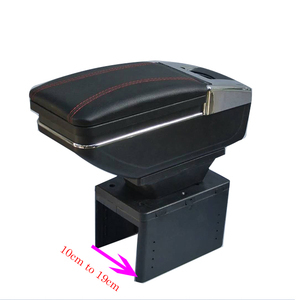 10 YRS Carfu Car Accessories Co., Ltd.
1 YRS Guizhou Xinyuda Industrial Co., Ltd.
2 YRS Luohe City Daiao Auto Parts Co., Ltd.
2 YRS Zunyi VCar Auto Parts Co., Ltd.
6 YRS Nanchang Qinglin Automobile Accessories Co., Ltd.
1 YRS Guangzhou Zaizhou Environment Science & Technology Co., Ltd.
1 YRS Taizhou Xinmao Vehicle Industry Co., Ltd.
10 YRS Sunsing Industry And Trade Co., Ltd.
8 YRS Tiantai Susan Imp. & Exp. Co., Ltd.
We regards 'reasonable prices, efficient production time and good after-sales service',as our tenet. We hope to cooperate with more customers for mutual development and benefits. We welcome potential buyers to contact us. 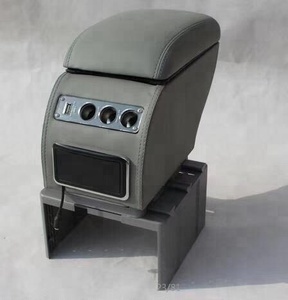 3 YRS Wenzhou Yuan Ya Auto Parts Co., Ltd.
1 YRS Guangzhou Sunzm Auto Supplies Co., Ltd.
9 YRS Xi'an Haitu International Supply Chain Management Co., Ltd.
10 YRS Zhejiang Benke Auto Parts Co., Ltd.
Universal car armrest Packing: neutral box Q'ty/ctn: 12PCS/CTN Color:Black / Gray / Beige We are the professional car accessories manufacturer in China. 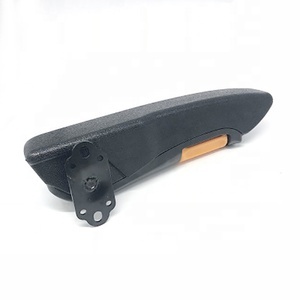 We can develop new models for you as your samples or car tunnels, We have much more armrest models in factory, pls feel free to contact with me, thanks Main Applications& Models for ARMREST BK-1145 VW GOLF 4 VW BORA (jusque 2004) VW BORA BREAK/VARIANT (jusque 2004) VW NEW BEETLE (jusque 2004) 58*36.5*48.5CM/ 8PCS PACKAGE IN ONE CARTON BK-1136 VW POLO 9N / 9N2 / 9N3 (2001-2009) VW CROSS POLO (2006-2008) 63*42.5*43CM/ 8PCS PACKAGED IN ONE CARTON BK-1144 VW PASSAT B5 TYPE 3B (1996-2000) 58*36.5*48.5CM/ 8PCS PACKAGED IN ONE CARTON BK-1146 UNIVERSAL 73*33*42CM/ 10PCS PACKAGED IN ONE CARTON BVWJT0520-N VW JETTA2005-2009/GOLF 5 6/SAGITAR(NEW) 76.5*33.5*48.5CM/ 8PCS PACKAGED IN ONE CARTON BFDFC0520-N FORD FOCUS 2005-2011(NEW) 76.5*33.5*48.5CM/ 8PCS PACKAGED IN ONE CARTON BFDFS0520-N FORD FIESTA 2009 MK7 (NEW) 58*33.5*48.5CM/ 8PCS PACKAGED IN ONE CARTON BCVCZ0920-N CHEVROLET CRUZE 2009-ON(NEW) 58*33.5*48.5CM/ 8PCS PACKAGED IN ONE CARTON BCVSL1020-N CHEVROLET SAIL 2010(NEW) 58*33.5*48.5CM/ 8PCS PACKAGED IN ONE CARTON BCVLV6H20-N CHEVROLET LOVA 2006(NEW) 58*33.5*48.5CM/ 8PCS PACKAGED IN ONE CARTON BTYYS0820-N TOYOTA YARIS 2008(NEW) 58*33.5*48.5CM/ 8PCS PACKAGED IN ONE CARTON BHDFT0820-N HONDA FIT 2008(NEW) 58*33.5*48.5CM/ 8PCS PACKAGED IN ONE CARTON BNSLV0620-N NISSAN LIVINA 2006(NEW) 58*33.5*48.5CM/ 8PCS PACKAGED IN ONE CARTON BKARO0620-N KIA RIO 2006(NEW) 58*33.5*48.5CM/ 8PCS PACKAGED IN ONE CARTON BHYAC0620-N HYUNDAI ACCENT 2006(NEW) 58*33.5*48.5CM/ 8PCS PACKAGED IN ONE CARTON BVWBR0320-N VW BORA 2003(NEW) 58*33.5*48.5CM/ 8PCS PACKAGED IN ONE CARTON BVWPL3H20-N VW POLO IV 9N (2001-2005)(NEW) 58*33.5*48.5CM/ 8PCS PACKAGED IN ONE CARTON BVWP60720-N VW PASSAT B6 2007(NEW) 58*33.5*48.5CM/ 8PCS PACKAGED IN ONE CARTON BVWP50020-N VW PASSAT B5 (1996-2000)(NEW) 58*33.5*48.5CM/ 8PCS PACKAGED IN ONE CARTON BVWLD0820-N VW LAVIDA 2008(NEW) 58*33.5*48.5CM/ 8PCS PACKAGED IN ONE CARTON BSKOC0720-N SKODA OCTAVIA 2007(NEW) 58*33.5*48.5CM/ 8PCS PACKAGED IN ONE CARTON BSKSW0520-N SUZUKI SWIFT 2005-2013(NEW) 58*33.5*48.5CM/ 8PCS PACKAGED IN ONE CARTON BSKS40720-N SUZUKI SX4 2007-ON(NEW) 58*33.5*48.5CM/ 8PCS PACKAGED IN ONE CARTON BPG370420-N PEUGEOT 307 2004(NEW) 76.5*33.5*48.5CM/ 8PCS PACKAGED IN ONE CARTON BNSTD0520-N NISSAN TIIDA 2005(NEW) 58*33.5*48.5CM/ 8PCS PACKAGED IN ONE CARTON BNSMC1020-N NISSAN MARCH 2010(NEW) 76.5*33.5*48.5CM/ 8PCS PACKAGED IN ONE CARTON BNSSN1120-N NISSAN ALMERA 2011(NEW) 58*33.5*48.5CM/ 8PCS PACKAGED IN ONE CARTON BHYVN1020-N HYUNDAI VERNA 2010(NEW) 58*33.5*48.5CM/ 8PCS PACKAGED IN ONE CARTON BVWST9920-N VW SANTANA 1999 58*33.5*48.5CM/ 8PCS PACKAGED IN ONE CARTON BCTCQ0920-N CITROEN C-QUATRE 2009 58*33.5*48.5CM/ 8PCS PACKAGED IN ONE CARTON BCYFY1020N CHERY FULWIN 2 2010 58*33.5*48.5CM/ 8PCS PACKAGED IN ONE CARTON BGLJG0620N GEELY MK 2006 58*33.5*48.5CM/ 8PCS PACKAGED IN ONE CARTON BGWFR0920N GREAT WALL FLORID 2009 58*33.5*48.5CM/ 8PCS PACKAGED IN ONE CARTON BADA4B6-N AUDI A4 B6 B7 Bj 2000-2008 72*36*52CM/ 10PCS PACKAGED IN ONE CARTON BADA6C5-N AUDI A6 C5 1997-2004 72*36*52CM/ 10PCS PACKAGED IN ONE CARTON BFDFS02 Ford Fiesta 1995-2002 70*45*50CM/ 10PCS PACKAGED IN ONE CARTON BCTC410 Citroen C4 2004-2010 67*33*50CM/ 10PCS PACKAGED IN ONE CARTON . 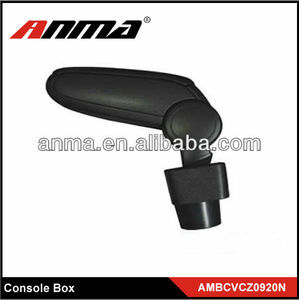 Alibaba.com offers 1,890 universal car armrest products. 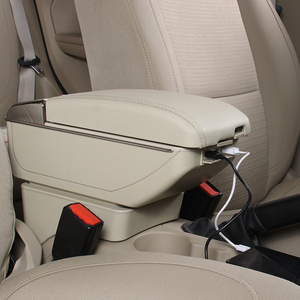 About 62% of these are other interior accessories, 8% are car organizers, and 1% are other auto parts. 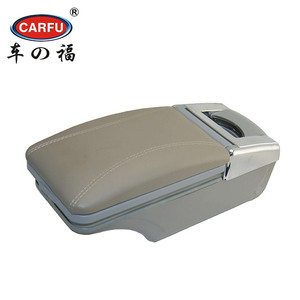 A wide variety of universal car armrest options are available to you, such as free samples, paid samples. 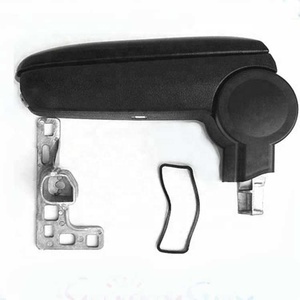 There are 1,890 universal car armrest suppliers, mainly located in Asia. 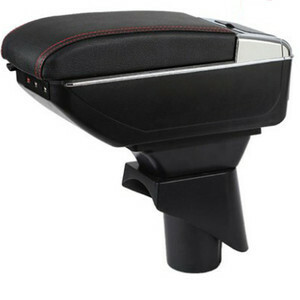 The top supplying country is China (Mainland), which supply 100% of universal car armrest respectively. 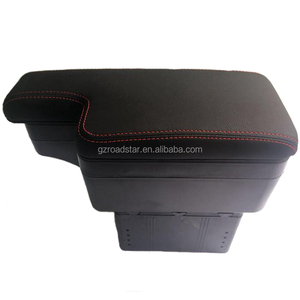 Universal car armrest products are most popular in South America, Eastern Europe, and Western Europe. You can ensure product safety by selecting from certified suppliers, including 380 with Other, 288 with ISO9001, and 28 with ISO14001 certification.